In early 2016 Helena Bierly and Cynthia Johnson were asked to create an inviting, comfortable tasting room with an industrial vibe. Eagle Harbor Wine Company is a boutique winery located on Bainbridge Island and was started in 2005. Currently owned by Emily Parsons and her husband Steve Trimble, his wines have won widespread recognition for their excellence. 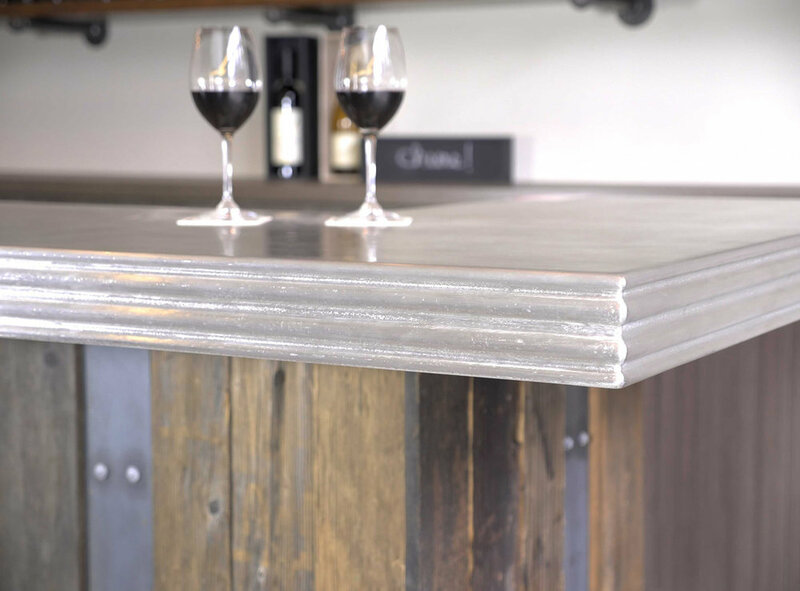 The various earthy yet sophisticated elements include a solid pewter bar top that was custom made and designed with a recycled barn wood front. The open feeling is accentuated by pewter chairs and custom oak barrel table tops with custom cabinetry. The dramatic lighting serves to emphasize the high vaulted ceiling and the giant garage door opens in the summer to an outdoor lounge.